Upper respiratory-tract infections (URTI) occur most commonly in childhood. 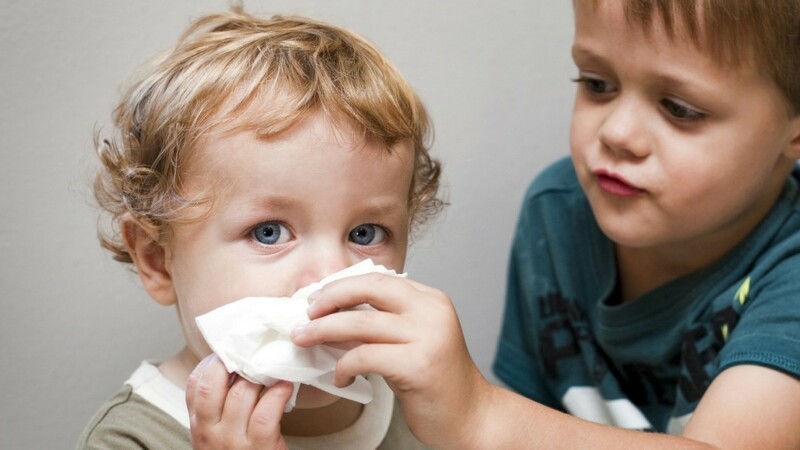 On average, a healthy three-year old child suffers from 6-10 colds per year. These types of colds are generally mild but the symptoms can cause a fever and make your child irritable, lethargic and uncomfortable. According to the world health organization, respiratory infections account for 20% of medical consultations, 30% of days lost from work and 75% of antibiotic prescriptions in the USA, Canada, and Western Europe. But how do our children end up with these respiratory infections? Viral infections in childhood can come from many things these include attendance at daycare centers, contact with elder siblings, smoking at home and lack of breast feeding. So what’s the first thing we do when our baby has an awful cough? We head down to the local pharmacy and get a good non-prescriptive children’s cough and cold medicine. But these are not always effective in reducing the recovery time and can often have adverse effects including toxicity with unintentional overdose if we aren’t careful. More is not always better when it comes to cough medicines. So what should we do to stop this and keep our children healthy? Do your research! This isn’t the first time I’ve talked about Complementary and Alternative Medicines (CAMs) and it won’t be the last. CAMs are not taught widely in medical schools but they are products that are used in addition to or as a replacement for traditional western medicine. Why are we bringing this up? Because studies have been done on what herbal medicines may be a good CAM to help support our children’s lungs and keep them breathing well throughout the school year. Many of the studies have looked at Echinacea and Vitamin C but today we are going to look at what research says about propolis. In a study done in Romania they found that the treatment of upper respiratory infections with a tincture containing propolis decreased and sometimes suppressed viral activity in the upper airways. It does this through its anti-viral anti-inflammatory properties known as flavones. Other clinical results supporting its effectiveness in the treatment and prevention of upper respiratory tract infection have been published in Germany and only from trials among adults. But we found a study that took place at 10 primary care pediatric community clinics in Israel. In this study there were 430 children age 1-5 and each was randomly assigned a propolis elixir or a placebo. The results of this study demonstrate, for the first time, that an herbal preparation containing an extract of propolis did have a significant beneficial effect on the incidence and severity of respiratory tract infections in young children. In another study by Crisan et al a lower incidence of URTIs and symptoms were found in a group of preschool children treated with a propolis preparation for 5 months. Additional studies are needed in larger samples to confirm these findings but this has hopefully opened the door to propolis being used as in clinics. In the mean time check out PRI’s cough syrup containing propolis or the lollipops to help keep your kids healthy and well. Crişan, I., Zaharia, C. N., Popovici, F., Jucu, V., Belu, O., Dascălu, C., & … Petrescu, A. (1995). Natural propolis extract NIVCRISOL in the treatment of acute and chronic rhinopharyngitis in children. Romanian Journal Of Virology, 46(3-4), 115-133. Cohen, H. A., Varsano, I., Kahan, E., Sarrell, E. M., & Uziel, Y. (2004). Effectiveness of an herbal preparation containing echinacea, propolis, and vitamin C in preventing respiratory tract infections in children: a randomized, double-blind, placebo-controlled, multicenter study. Archives of pediatrics & adolescent medicine, 158(3), 217-221. Carr, R. R., & Nahata, M. C. (2006). Complementary and alternative medicine for upper-respiratory-tract infection in children. American journal of health-system pharmacy, 63(1).